Irrepressible hellebores burst through the cold long before spring to delight us with ￼sweet-looking, long-lasting flowers. 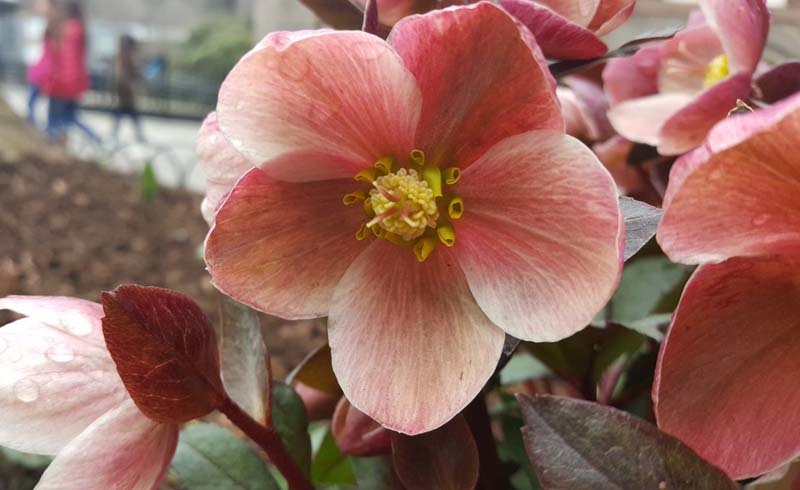 Apparently being fuss-free, shade-tolerant, deer-resistant, drought-proof and long-lived is not enough for hellebores (aka Lenten rose). The high-achieving perennials are also among the garden’s earliest risers, some even blooming in January. The 2- to 3-inch flowers remain on the stem for months; their “petals” are actually sepals that fade to a beautiful papery texture at the same time new evergreen foliage emerges. 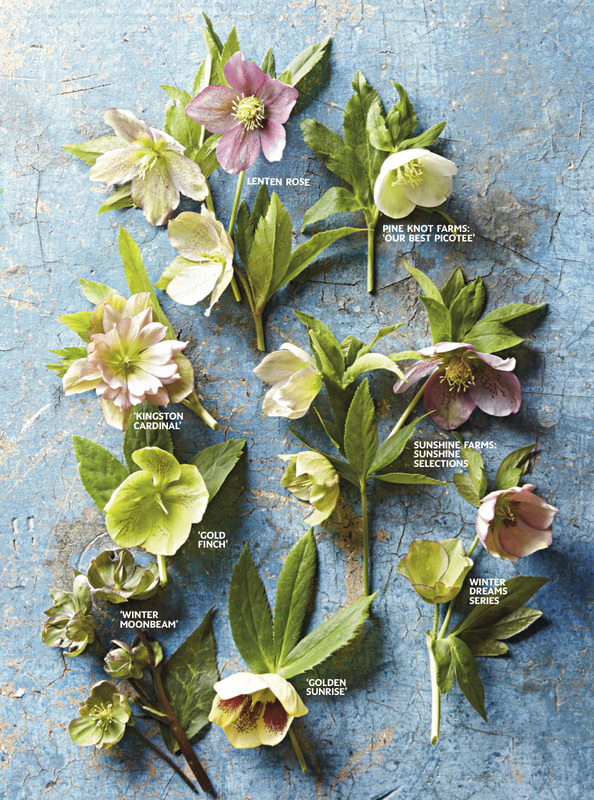 Eight different strains of hellebores. Hybridization has expanded the plant’s palette. Styles include single and double blooms, plus flowers with freckles or butterfly veining. 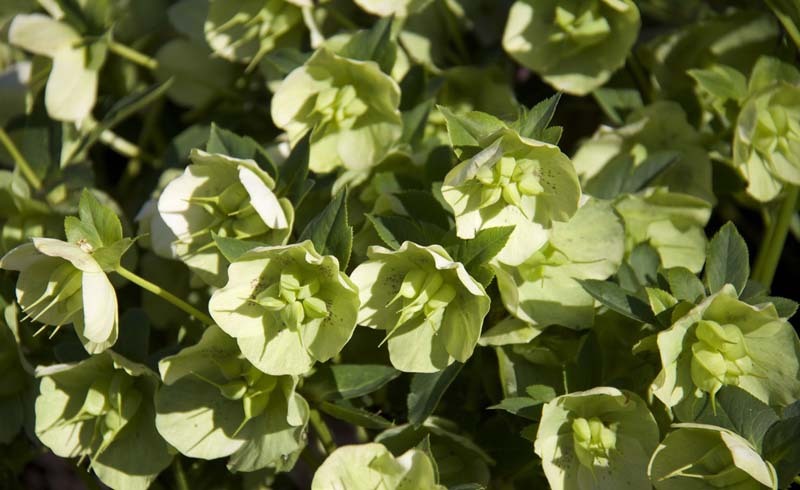 Hellebores prefer neutral pH soil with good drainage and partial or dappled shade. Mature plants reach about 22 inches tall with a 2-foot spread. Plant with spring-flowering bulbs, primroses, ferns, hostas, geraniums, bleeding hearts, azaleas or heuchera. Michigan breeder Chris Hansen’s Winter Thriller series includes rigorous, colorful plants with large flowers. ‘Irish Ruffles’ dazzles with a rare lime color and 3-inch double blooms.